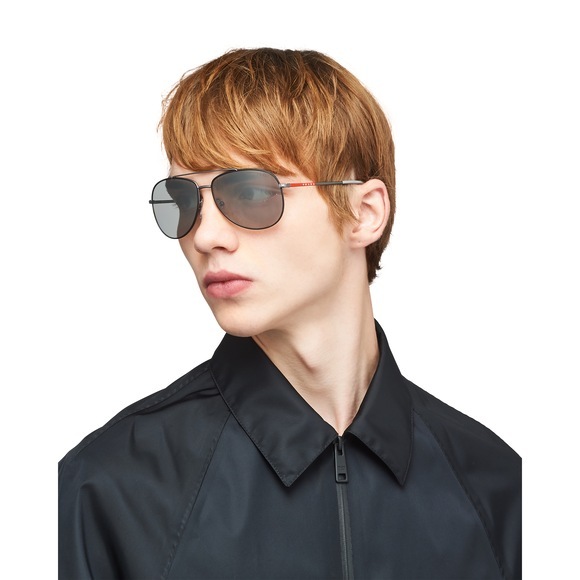 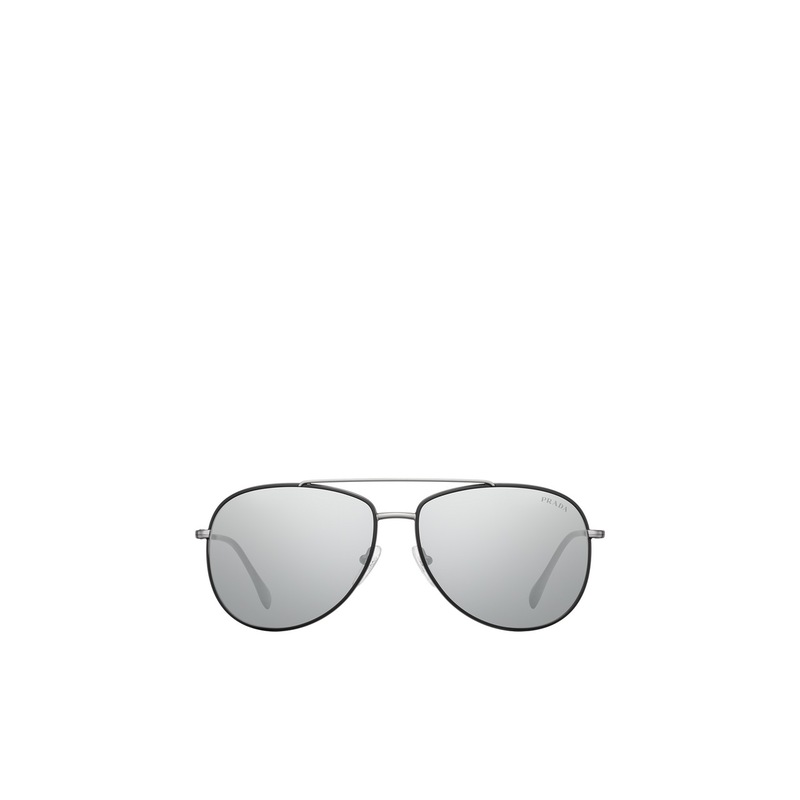 Pilot-style sunglasses. 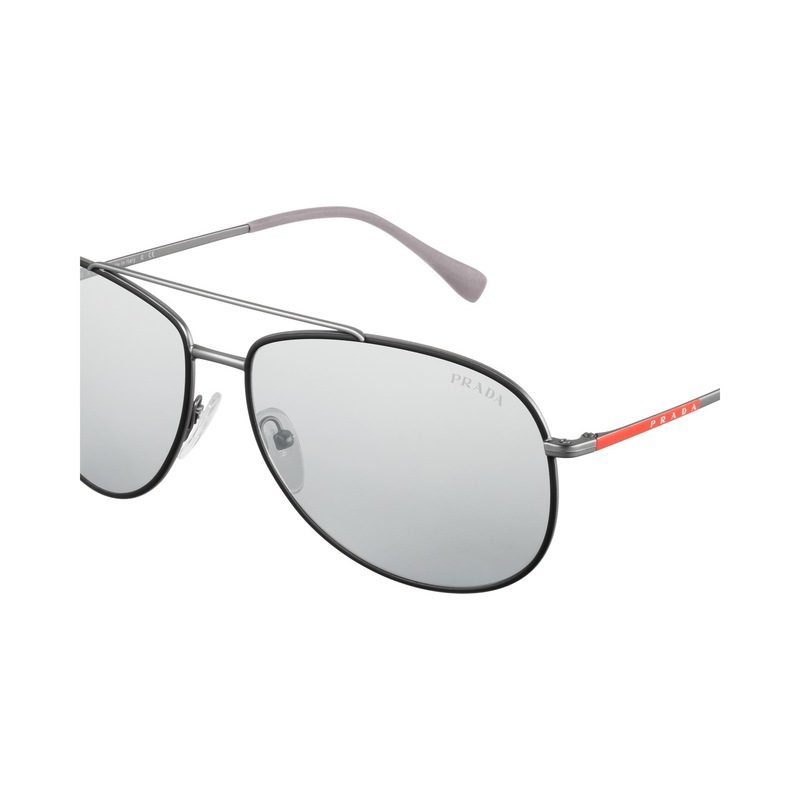 The sleek metal frame front and double bridge have an exclusive rubberized finish that gives these frames a sporty appeal. 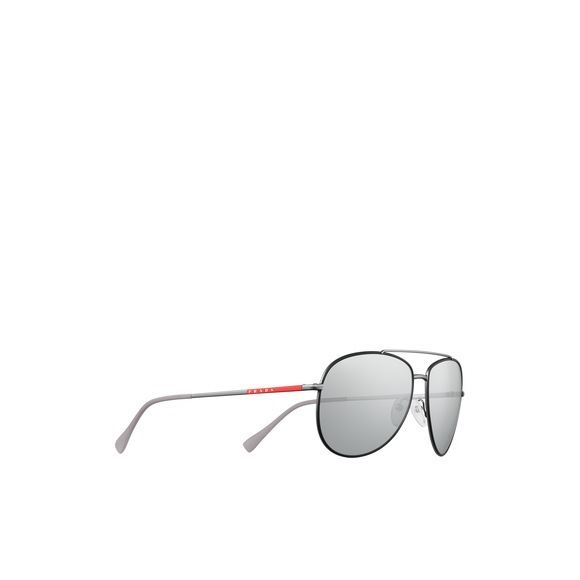 Flat, ultra-slim temples. Prada Linea Rossa logo.